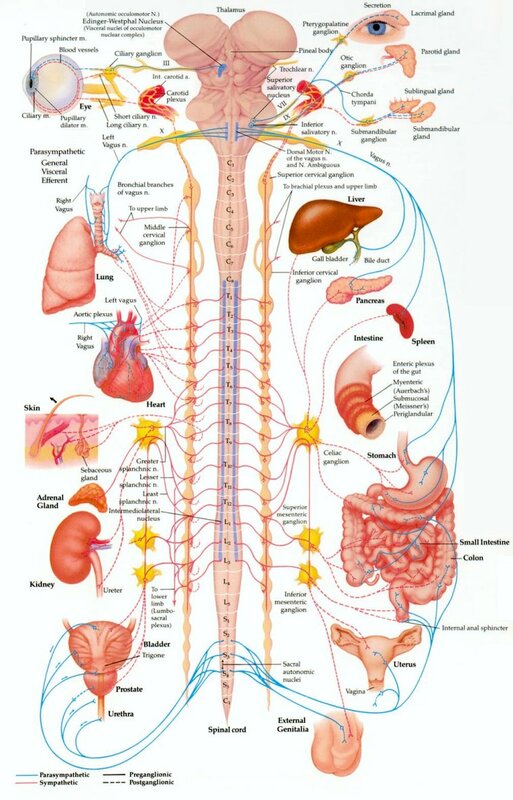 Qigong’s effects on the autonomic nervous system (ANS) will be studied. To understand these research studies, the biochemistry of some neurotransmitters will be discussed in Section 2. Recall, from Part 9 (a), in the previous issue of Qi Dao, norepinephrine is the main neurotransmitter of the sympathetic nervous system (SNS). Some results of practicing Qigong on neurotransmitters are contained in Section 3. Section 4 presents the effect of Qigong on the chronaxy (or chronaxie) of certain nerves of the ANS. Recent research, on predicting and increasing longevity, appears in section 7. The enzyme L-amino acid decarboxylase transforms the precursors, 5-hydroxytryptophan (5-HTP) and L-Dopa, into serotonin and dopamine (DA), respectively. Both of these precursors compete for this enzyme. Hence, loading serotonin nutrients or 5-HTP decreases dopamine synthesis. Loading dopamine nutrients or L-Dopa decreases serotonin synthesis. Proper balance of these precursors, by administering proper levels of 5-HTP, can increase dopamine levels as shown in (1,2,3). Norepinephrine is produced from dopamine using the enzyme dopamine-beta-hydroxylase (DBH). Serotonin is converted to melatonin by the enzymes aralkylamine N-acetyltransferase (AANT) and acetylserotonin O-methyltransferase (ASMT). Serotonin is also called 5-hydroxytryptamine (5-HT). Professor Wang (4) measured the activity of the enzyme DBH in the blood serum of 260 hypertension patients, who had practiced Qigong for over a year. He found a significant decrease in their DBH activity from 19.71 IU (international units) plus or minus 1.47 IU to 17.24 IU plus or minus .78. This showed that less norepinephrine was produced. Therefore, Qigong decreased the hyperactivity of the SNS, which is beneficial for many diseases which result from increased activity of the SNS. Metanephrine (TMN) and 4-hydroxy-phenylethyleneglycol sulfate (MHPG–SO4) are metabolites of norepinephrine produced by the central and peripheral SNS, respectively. Professor Xie (5) discovered that the four-hour output of TMN in the urine of the Qigong group of hypertension patients was .117 mg., far lower than the four-hour output in the control group of non-practicing hypertension patients, which was .137 mg., with significance level of P less than .01. The four-hour output of MHPG–SO4 in the urine of the Qigong group of hypertension patients was .165 mg., was also lower than the four-hour output in the control group of non-practicing hypertension patients, which was .190 mg., with significance level of P less than .05. Ma (6) and Xia et al. (7) discovered that in the CNS, 5-HTP increased, dopamine decreased, and the metabolism of norepinephrine fell by 60%. It was also reported that frequent Qigong practice rendered the production and excretion rate of 5-HTP two to three times higher than the normal. Wang (8) showed that 5-HTP in the cerebrum could inhibit the excretion of norepinephrine, and such enhanced function of 5-HTP was relevant to the effects of Qigong. Through Qigong practice, excretion of cortical hormone in blood plasma can be reduced to half of the normal amount, which can enhance the immunologic system of the human body. Moreover, 90% of 5-HTP stays in the gastrointestinal tract, while the rest remains in the platelets and the CNS. A high level of Qigong practice may decrease food intake. This might be one of the possible reasons that some Qigong practitioners can even stop eating (9).. The increase of 5-HTP can improve sleep quality as well, since melatonin production will be increased. Melatonin controls the sleep-wake cycle. This produces ease in falling asleep and higher quality of sleep. Better sleep results in an improvement of 5-HTP and also growth hormone secretion. Increased growth hormone secretion can stimulate growth and accelerate recovery of physical strength. 5-HTP can inhibit and stabilize the nerve activity, which allows the brain to have sufficient relaxation and rest. Other research indicates that an imbalance of 5-HTP gives rise to affective disorders. For example, schizophrenia is directly related to abnormal metabolism of 5-HTP. Experimental data shows that metabolic products of 5-HTP in cerebrospinal fluid are higher in manic and depressed patients than in normal people. Qigong can balance 5-HTP levels. This is one of the reasons that Qigong is effective in treating both physical and mental problems. Research by Liu (10) was conducted on patients with chronic diseases, who had practiced Qigong for one month. After Qigong exercise, the blood levels of serotonin (5-HT) decreased, while the blood levels of norepinephrine and dopamine (DA) increased. Lowering of the level of the vasoconstrictor 5-HT and increasing DA levels facilitates local blood flow and metabolism to the tissues. Abnormal decreases of dopamine in the brain is one of the most important etiological factors of Parkinson’s disease and somnolence. Appropriate Qigong practice may prevent people from getting Parkinson’s disease and excessive somnolence. The content of dopamine in the brain of introverted people is lower than that in the brain of extroverted people. Balancing the levels of dopamine can adjust characters in two ways: bringing gentleness to those who are irritable, and influencing unsociable personalities to be more broad-minded. Further investigation is required into how Qigong affects the neurotransmitters and their metabolites. For example, does a particular type of Qigong act in a homeostatic manner, decreasing DA levels if they are too high and increasing DA levels if they are too low? Alternatively, are special types of Qigong required to raise or lower DA levels? The chemical construction of enkephalin, produced by the body, is similar to the drug acetomorphine (heroin). Both of these can promote a strong sense of pleasure (11). The effect of enkephalin is 10 to 100 times stronger than that of acetomorphine. 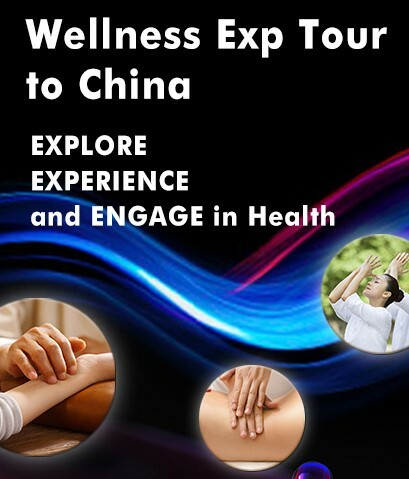 Qigong can also stimulate the secretion of enkephalin, which brings about a sense of comfort and pleasure, and helps tranquilize the mind and relieve pain. Secretion of enkephalin can also enhance the function of the brain – the ability to analyze and make judgments and promote mental ability by improving the bioactivity of ribonucleic acid (RNA). The inner ear consists of the bony labyrinth, a system of passages with two main functional parts the cochlea and the vestibular system. The cochlea is dedicated to hearing. The vestibular system provides the dominant input about movement and equilibrioception, which is a sense of balance and spatial orientation. When the vestibular system is stimulated, without any other inputs, a sense of self motion is experienced. For example, a person in complete darkness and sitting in a chair which is turned to the left will feel turned to the left. A person in a descending, with essentially constant visual input, will feel the descent. The inner ear is innervated by the eighth cranial (or vestibulocochlear) nerve. The vestibulo-ocular reflex (VOR) is a reflex eye movement that stabilizes images on the retina during head movement by producing an eye movement in the direction opposite to head movement. Thus, the image on the center of the visual field is preserved. For example, when the head moves to the right, the eyes move to the left, and vice versa. Since slight head movements are present all the time, the VOR is very important for stabilizing vision: patients whose VOR is impaired find it difficult to read, because they cannot stabilize the eyes during small head tremors. The VOR reflex does not depend on visual input and works even in total darkness or when the eyes are closed. Gravity acts on the circulatory system to decrease arterial blood pressure (AP) by causing blood redistribution and reduced venous return. The vestibulosympathetic reflex (VSR) prevents hypotension due to blood redistribution by increasing muscle sympathetic nerve activity (MSNA). Baroreceptors are located in the auricles of the heart and the vena cavae, but the most sensitive are in the carotid sinuses and the aortic arch. These receptors produce the baroreflex, mediated by the ANS, which tend to lower and raise increase and decrease in blood pressure, respectively. The additive interaction between the baroreflexes and vestibulosympathetic reflex suggests that the vestibular system may assist in defending against orthostatic challenges in humans by elevating MSNA beyond that of the baroreflexes. Patients suffering from anxiety-related disorders and impaired stress response show increased incidence of vestibular dysfunction (12, 13, 14). These relationships between the vestibular system and the ANS prompted Professor Kuang to measure the vestibular chronaxy (15, 16). The chronaxy is a measurement of the excitability of a nerve. It is defined in terms of the rheobase. The rheobase is minimal electric current required to excite a nerve, given an indefinitely long time during which the current is applied. In practice, the current need only be applied a few milliseconds. The chronaxy (or chronaxie) is the minimum time over which an electric current double the strength of the rheobase needs to be applied, in order to stimulate a nerve. Professor Kuang discovered that the vestibular chronaxy of hypertension patients is shortened as a result of increased excitability of the sympathetic nervous system (SNS). However, the vestibular chronaxy of hypertension patients is lengthened in the Qigong state as compared to the non-Qigong state. This indicates that Qigong has a good effect in regulating the function of the ANS. 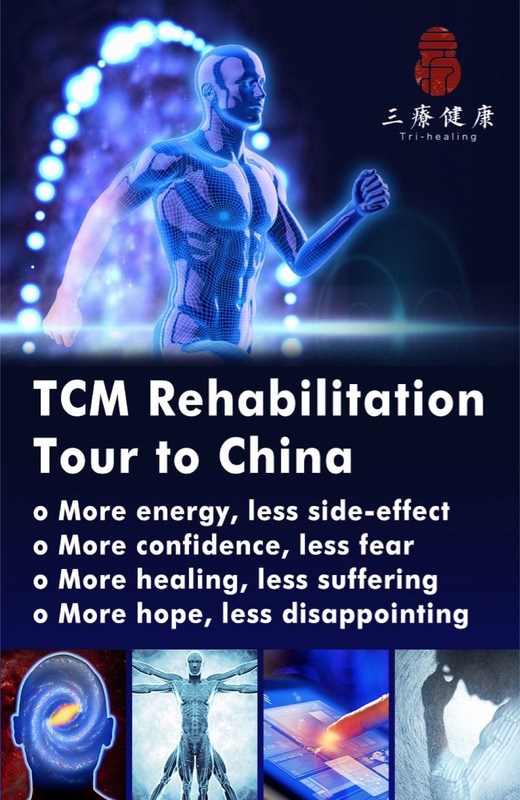 He also found that Qigong practitioners, who had achieved some self-healing, have relatively decreased reactivity of their SNS and relatively increased reactivity of their PNS by measuring changes in their vestibular chronaxy. 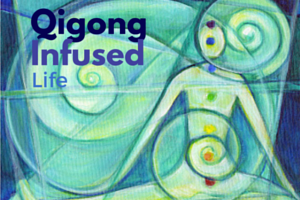 Qigong not only reduces stress by regulating the ANS but by other mechanisms (17, 18, 19). Tips of our chromosomes are called telomeres. These caps, made of repetitive chunks of DNA, protect the gene from free radicals and keep the rest of the gene-laden chromosome from disastrously unraveling. In some recent research, telomere length has been linked to life span. Longer telomeres have been associated with longer lives and vice versa. A cell’s telomeres shorten a bit each time that cell divides. The length of telomeres is decreased by stress and can be increased by reducing stress. Thus, practicing Qigong can increase your lifespan. Qigong has the added advantage that it can increase the quality of your life. Thanks to Dr. Kevin Chen for supplying Chapter 3 on Scientific Research in Qigong from his forth- coming book. 1. Van Praag, H.M. Therapeutic indications for serotonin potentiating compounds: a hypothesis. Biol Psychiatry 22: 205-12, 1987. 2. Van Praag, H.M. In search of the mode of action of antidepressants: 5-HTP/tyrosine mixtures in depressions” Neuropharmacol. 22: 433-40, 1983. 3. Byerley, W.F. et al. 5-hydroxytryptophan: a review of its antidepressant efficacy and adverse effects. J Clin Psychopharmacol 7: 127-37, 1987. 4. Wang, C. et al. Curative effects of qigong on 426 cases of hypertensionand their changes in serum DBH activity. J. ogf Combination of Modern Med. and TCM (Chinese) 21, 10, p.7, 1987. 5. Xie, S. et al. Effects of qigong on the noradrenaline metabolite of central and peripheral nerves of hypertension patients. J. of TCM (Chinese): 24,7, p.64, 1953. 6. Ma, Jiren. 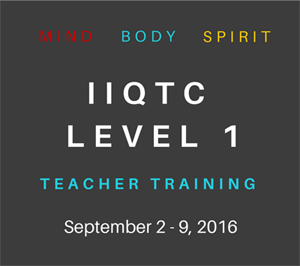 Practical Qigong Study in Traditional Chinese Medicine. Shanghai: Shanghai Publisher of ` Science and Technology. 1991. 7. Xia, Shuangquan, Yu, Jin, and Song, Xinhong. Prospect on the ET brain fluctuation Taiji figure of Qigong state [J]. China Qigong 6, 6–9, 2000. 8. Wang, Keming. Study on the health prevention and anti-aging function of Qigong [J].” Journal of Bethune Medical University 1, 125, 1981. 9. Eisen, M. Bigu and its Uses. Qi Dao, May/June, 2007. 10 Liu, B, et al. Effects of Qigong exercise on the content of the monoamine neurotransmitters in the blood. Proc. Of the First Int. Conf. for the Academic Exchange of Qigong, Beijing, China, 1988. 1l. Lin, Yagu. Encyclopedia of Chinese Qigong [M]. Nanjing: Nanjing University Press, 1993. 13. Balaban, C.D. and Thayer, J.F. Neurological bases for balance-anxiety links. J. Anxiety Disord. Jan-Apr;15(1-2):53-79, 2001. 14. Penna, G. et al. Panic disorder: the role of the balance system. J. Psychiatr. Res. Sep-Oct;35(5):279-86, 2001. 15. Kuang, A. et al. A study of the long-term curative qigong treatment of hypertension and qigong regulation of abnormal reactivity of organisms. Shanghai J. of TCM (Chinese), 5, p. 19, 1962. 16. Ibid. Qigong treatment of 135 cases of hypertension with regularity in blood pressure decrease and comparison of its 4-year curative effects. Chinese J. of Int. Med. 18, No. 3, p.187, 1979. 17. Eisen, M. Qigong and Taiji Application in Stress Management. Part 1: Background of Stress. Qi Dao, Nov./Dec., 2007. 18. Eisen, M. Qigong and Taiji Application in Stress Management. Part 2: Tai Chi for Stress. Qi Dao, Jan./Feb., 2008. 19. Eisen, M. Qigong and Taiji Application in Stress Management. Part 3: Tai Chi for Stress. Qi Dao, March/April, 2008. This entry was posted in Scientific Qi Exploration and tagged autonomic nervous system, chronaxy, Longevity, neurotransmitters, Qigong. Bookmark the permalink.